Fairweather, LLC, Alaska’s leading provider of remote medical, meteorological and expediting services, brings a new level of transportation and logistics support to the North Slope. 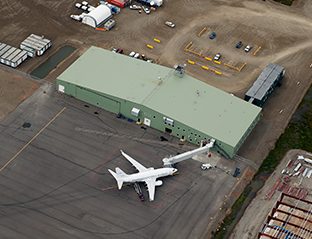 Deadhorse Aviation Center (DAC) is strategically designed to provide oil companies and their suppliers with a safe and efficient aviation command center to successfully manage onshore operations and Outer Continental Shelf (OCS) exploration and production activities on the Arctic Ocean and Beaufort Sea. Located at the FAA-approved Deadhorse Airport, DAC offers secure access to the taxiway and runway, as well as access roads and the ocean. 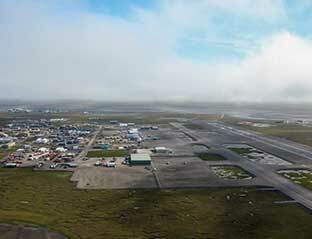 Click here to view average weather conditions for Deadhorse, Alaska. 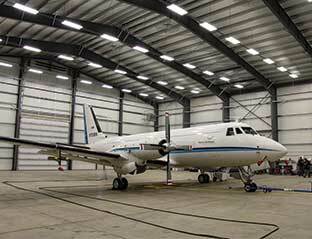 Demand has remained high for DAC’s hangar, terminal and cargo-handling services. The 25-acre aviation and equipment staging/storage yard is filling up, as are office spaces. 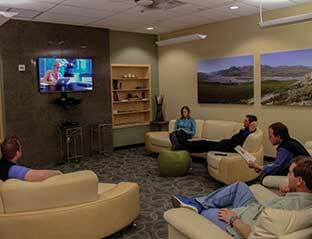 DAC continues to offer accommodations for sleeping when available. ©2015 Fairweather, LLC. All rights reserved.